We have been in business for the last 10 years, proudly serving the Orleans community. Our unparalleled service, competitive prices, and overall value are why our customers keep returning. 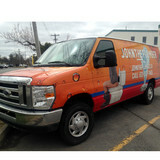 John The Plumber is here to provide fast and expedient solutions to all your plumbing problems. Our fully licensed and insured plumbers are committed to the John The Plumber mission of providing each and every customer with quality plumbing products, expert workmanship and service that goes over and above what is required. This ability to go over and above the call of duty, this commitment to exceptional customer service, is what has made John The Plumber Orleans premier plumbing company. Each and every day, more and more people choose John The Plumber for our exceptional attention to detail, glowing customer service and affordable pricing; so much so that we have made it our underlying mission statement... "Quality service at affordable prices." Our pledge is to establish a long-lasting relationship with you. Every member of our team will strive to exceed your expectations and gain your trust by providing the highest level of professionalism, honesty and fairness with our suppliers, contractors, professional associates and customers. We have been in business for the last 10 years, proudly serving the Barrhaven community. Our unparalleled service, competitive prices, and overall value are why our customers keep returning. John The Plumber is here to provide fast and expedient solutions to all your plumbing problems. Our fully licensed and insured plumbers are committed to the John The Plumber mission of providing each and every customer with quality plumbing products, expert workmanship and service that goes over and above what is required. This ability to go over and above the call of duty, this commitment to exceptional customer service, is what has made John The Plumber Barrhaven premier plumbing company. Each and every day, more and more people choose John The Plumber for our exceptional attention to detail, glowing customer service and affordable pricing; so much so that we have made it our underlying mission statement... "Quality service at affordable prices." Our pledge is to establish a long-lasting relationship with you. Every member of our team will strive to exceed your expectations and gain your trust by providing the highest level of professionalism, honesty and fairness with our suppliers, contractors, professional associates and customers. Whether you’re building a new home or renovating your current one, you can count on A+ Plumbing to help you, seven days a week. Headed by Richard Ouellet, a licensed plumber in the Ottawa area with over 25 years of experience, our company is known for its high-quality plumbing repairs and installations. Every home needs some TLC from a licensed plumber at one point or another. Own a new building? A+ Plumbing can install new plumbing hardware. Own an older property? We can help repair or maintain its plumbing systems by upgrading its water heater or repairing its sump pump, for instance. Whatever your needs, give us a call and we’ll be glad to help. Kinburn plumbing & Heating Ltd.
Valley Plumbing & Water Treatment is a locally owned and operated, fully licensed and insured plumbing company specializing in water treatment. We are situated just east of Perth, Ontario on HWY 7. 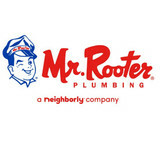 Since 1987, we have been providing plumbing and water treatment services to both residential and commercial customers throughout a very large area including Chalk River, Pembroke, Eganville, Renfrew, Carleton Place, Almonte, Ottawa, Embrun, Metcalfe, North Gower, Winchester, Brockville, Smiths Falls, Perth, Westport, Kingston and surrounding areas. We take pride in our work ethic and customer focused service, and it’s evident by the number of referred customers we see each week. Unlike many franchise businesses, Valley Plumbing & Water Treatment operates independently, without sales commissions, without restrictions on product usage, and without subcontracting installations. 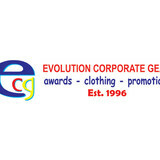 We maintain a separate installation, maintenance and sales crew to provide full coverage to our customers. We have water experts with decades of knowledge and experience, as well as certified, licensed installers who live right in the neighborhood. What matters most to us, is, solving our neighbor’s water problems. Please contact us at your convenience, to discuss your plumbing and water treatment needs. Don't let a clogged drain ruin your day. Call the plumbing experts at Lynwood Plumbing Services Ltd in Dunrobin for residential plumbing repairs and installations. We also offer full drain cleaning services, ensuring that the pipes in your home are flowing properly. Call us for a service appointment today. Licensed plumber with over 16 years experience, offering a broad spectrum of plumbing services and specializing in renovations. Serving Ottawa and surrounding areas. Brooks and Cryderman Ltd began in March of 1982. Back then, there were three of us, Karl Cryderman, David (his son), and Robert Brooks. As the company grew, Allan Cryderman, another son, joined. We have always been a service company for electrical, plumbing and HVAC. Servicing a small community, we became a household name. We’re the people to call if you have a problem. As the community grew, so did our business, mostly from word of mouth. In the late 1980s, we expanded the business to include geothermal and air source heat pumps, obtaining refrigeration licenses and manufacturer’s training on heat pumps. We also became members of the Canadian Earth Energy Association. Over the years, we became quite knowledgeable on the servicing and repair of geothermal and air source heat pumps. By 2005, we started learning about solar hot water and in-floor heating systems, growing the business again. Today, we have a staff of 14, specializing in all aspects of electrical and mechanical systems for residential, commercial and institutional customers.